Yesbets Review 2019 | You Must Check Out This Before You Sign Up! How do you fancy making profits of up to £1200 a month completely risk-free? It sounds appealing doesn’t it, but It could be that’s possible with matched betting. 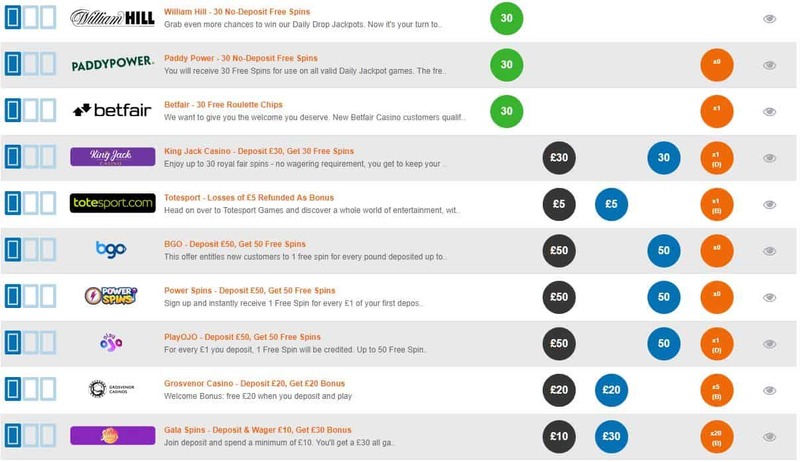 There are plenty of matched betting sites available, all promising lots of profits, so let’s look at the Yesbets website to see how it compares to matched betting giants Profit Accumulator and Oddsmonkey. Yesbets.co.uk was launched in 2015 and is owned and operated by Suppose Ltd, being registered in England and Wales. The fact they have survived for three years in a very competitive market is a good sign that they know what they are doing. The site includes a page that shows us the team in cartoon form. The write-ups for each of the four team members are full of humour and give you a real insight into the overall friendliness you’ll experience throughout the site. Although it might seem like all fun and games, they’ve managed to generate the Yesbets community over £2.4 million in profit so don’t let the cheesy cartoon characters fool you! With sites of this nature, one of the first questions you are going to be asking is ‘how much will this cost me?’ If you want to, then being a member of the Yesbets site can be totally free. Non-premium members will be given details of offers by Coral and SkyBet and make the promise that you will be making a £30 profit including £15 in the first quarter of an hour. You also get access to over 20 video tutorials, and there is email and live chat support available as well as being able to use some of the tools on the site but not the most important ones of course. 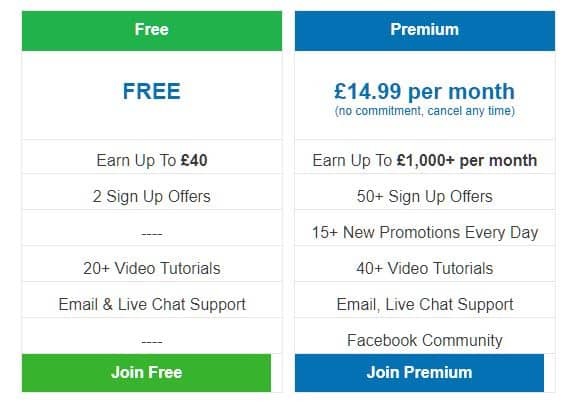 However, all the goodies on this site are delivered when you become a premium member, and this will cost you £14.99 per month. If you don’t like how things go on the site, then you can cancel this membership at any time. So, what do you get for £14.99 a month? Well, rather than those two sign-up offers, you now get access to over 50 of them. There are also at least 15 new promotions on the site every day, the number of video tutorials is doubled, and you get access to email and live chat support, and you become a member of their Facebook community. It may be that you are completely new to the whole idea of matched betting and might need a bit of convincing that it will create profits. If that’s the case then perhaps taking the free membership for a short while might be an idea, though seeing all those bookmakers offers is going to be tempting. Going to any site you want to see something that looks attractive and isn’t cluttered. The home page of this website hasn’t got an appalling look, but it could be a lot better. It proudly tells us that over £2.4m profits have been made so far, but that’s stuck halfway down the page, wouldn’t you put it at the top as a massive headline? Despite the rather basic look to the site, navigating your way around it is quite easy. Of course, a lot of it isn’t available to those who are only on a free membership with the rest being unlocked once you start handing over some cash. They could improve at updating parts of the website too. This reviewer paid a visit on July 29 but the page full of offers for the 2018 World Cup that finished a fortnight ago was still intact. The same applies to their Royal Ascot page which ended in June. It’s good to see them have individual pages though for special events. You’ll be itching to get your hands on the profits the site says you can make with them. The good news from this Yesbets review is that the registration process is a swift and smooth experience, so before you know it you’ll be a member, whether free or premium. If you are entirely new to the subject of matched betting, then you will want to access the video tutorials. Those of you who already know about the subject will probably skip them, but they do serve a process and are well put together. Some of the topics covered are ‘What is Liability?’, ‘Mug Betting Basics’ and ‘Maximising Profits from Others.’ They are informative if the world of matched betting is all new to you. Once you decide to become a premium member of the Yesbets website, then several features become available to you. Tools such as their Odds Matcher and Horse-Racing Matcher are now in your grasp, so let’s look at what they do and just how they can make you some profits. Accessing this section of the website is easily achieved via the navigation bar at the top of the page. This tool scans thousands of markets with the aim of showing premium members the best events to be placing bets on to make the maximum profit. They tell you how much to bet and at what odds, so all the hard work is on their shoulders. This tool will undoubtedly save you a fair amount of time trawling through sites. 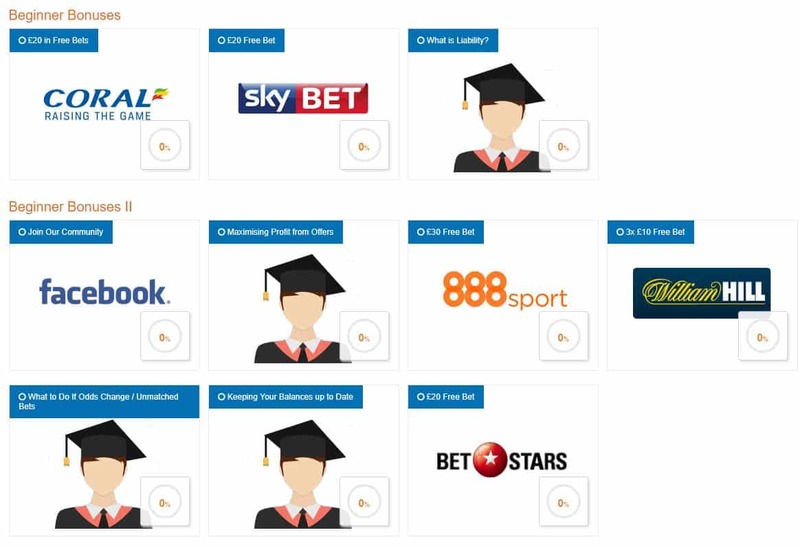 The number of bookies shown in this section depends on the number you have completed offers with. This means you don’t get the page filled with bookies that aren’t relevant to you at that time. If you want to select a specific bookie, then there’s a filter option that allows you to do just that but it’s best to have a broader selection on view. It’s also possible to filter the results by sport, market, exchange, time of the event and by minimum profit from the match. There is a wide selection of sports available, which is good because not everyone just wants to bet on the usual suspects, i.e. football and horse racing. There are well over 100 bookies listed so an excellent choice on that front, but you can only select one bookie/exchange/sport at a time. There is also the each-way matcher on the Yesbets website. Again, you do need to be a premium member to access it. It’s a bit more complicated as far as matched betting goes when each-way bets are being made, but the calculator on this site makes life a lot easier and will show you your lay stakes for the win and the place markets. As well as all the details about sports betting, there is also a casino section on the website. This gives details of the latest offers from several online casinos, but there’s more. The page also provides information on how to play slot games and definitions of the different kinds of bonuses that are offered by online casinos, for example, deposit bonuses and a Post Wager Casino Bonus. You don’t have to be a premium member to view this page. Placing your bet is a straightforward process and when the event has been concluded, just go to the ‘My Bets’ section of the website. Clicking on the ‘settle’ button, you’re able to mark which selections win and which sadly lose and then the site can calculate your total profit which will hopefully put a big smile on your face. The ‘My Bets’ section also allows you to see all of your past bets. The site can also track the balances on each of your active bookie and exchange accounts as well as casino and bingo accounts. Your only task is to update each account when you make a deposit or withdrawal. Just go to the ‘Balances’ section to check them. It’s a handy little tool, especially if you have been using a bookie that you don’t visit too often. As you might have guessed from its title, the Racing Matcher is the section to go if you are a big horse racing fan. It has matches for horse racing offers from many bookies. Again, there’s a filter option if you are only interested in specific sites and you can see the expected profits that can be made just by entering the size of your stake. By using this tool, you can find matches for specific offers much quicker. It’s well laid out and user-friendly which is good to see. The good news is that there are Reload offers added to this site every day. Just go to the Reloads tab on the navigation bar and away you go. You will then see a list of reload offers from a selection of bookmakers. Always keep an eye out for the expiry date as the last thing you want to do is miss out on something. That’s so easy to do with so many offers floating around online. To help avoid that happening there’s a countdown visible which is helpful because let’s face it, who wants to miss the chance to earn easy profits. The offer guides are brief but sometimes less is more, and the key points are included. You can always use the link to the T&Cs if needed. If you find an offer that isn’t on the site, then you can fill in a form and let them know. The Facebook group is only for premium members of the website. It’s an ideal place to go and have a chat about matched betting with other members. You can pick up some useful tips and advice so it’s well worth paying a visit and as you’ll read, handy for support information too. With sites of this nature, there is always going to be something that you might need a bit of help with. 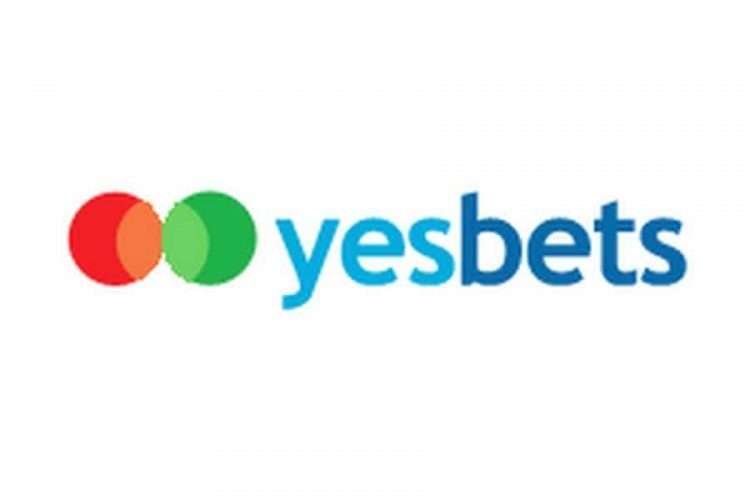 The good news is that Yesbets does offer support to its customers. You can use the live chat facility; this runs between 9 am, and 9 pm Monday to Friday and 9 am to 1 pm at the weekends. The Saturday and Sunday times could be extended perhaps. Also, you can fill in the box on the support page or post your question on the Premium Facebook page. The latter is the quickest method with emails a 24-hour response. When I signed up with the Yesbets website, an email soon arrived offering me help which was a nice touch. If you own a website, then it’s possible to join the Yesbets Affiliate Program. This can see you earning commission for each new member that you refer. Full details are on the website and affiliates are offering 50.3% of the net payment received each month from a premium membership. There’s certainly a lot going on at the Yesbets website and becoming a premium member is a good idea. Paying each month will open a great deal more offers, and that can lead to more profits being made. The site doesn’t have the best of looks, and they need to be a bit better at taking off out-of-date pages, but it is easy to navigate your way around the site. The tools that they offer to premium members are impressive, and if you are looking for information about many online bookies, then you won’t be disappointed. The ‘My Bets’ section is also helpful and available to all members. The introduction of an FAQ page would be a good idea, but the site does have a lot of information available. If you are new to matched betting, then this is an excellent site to join due to all the tutorials that are available. However, we do recommend checking out Oddsmonkey and Profit Accumulator. They’re the market leaders, and more established in the matched betting world at a very similar price point.